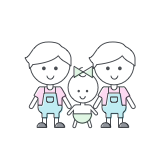 Montclair, NJ family seeks a live-in housekeeper with childcare responsibilities. Private accommodations will be provided and the candidate may use our home as their primary residence. We are an easy going, kind and loving family of four and we are looking for someone who can be an important member of our household and family while being professional in their work. Our house is just two blocks from all the shops, restaurants and the train station of Upper Montclair, so there is plenty to do and easy access to the city. Willingness to run routine errands such as doing laundry, dry cleaner, groceries etc. Liza and Gabe are the parents and Ellie is the baby girl. She's playful, fun, smart, and smiling all of the time. She's a blast to spend the day with! We are newly in the area and dad is commuting to NYC for a new job. We are excited to discover all that Montclair and NJ have to offer young families! My daughter will be starting preschool in July. However I am going back to work and so we need someone loving, thoughtful, and kind to care for her until then. We have an infant and a small dog. We would like to find a nanny share in Montclair. Our family is in search of a local (Montclair, NJ), veteran caregiver for our three young children; ages 7, 5 (boys) and 3 (girl). We are seeking regular assistance Monday - Friday in the evenings from ~4:30PM – 7:30PM. Some key areas of responsibility will include pickup from local schools (valid driver’s license required), meal prep (vegetarian family), assistance with homework, general cleanup and play time. We are in search of a someone who has an appreciation for young children who believes in structure and encourages manners and good behavior. Someone who is fun, playful, and approachable that would be a warm welcome addition to our family. Clean background, nonsmoker, and pet friendly a must (we have a lab retriever).